Come and discover Finland’s Hossa hiking area, and spend time surrounded by wilderness. Situated in northeast Finland, the area soon to be designated as Hossa National Park makes for a perfect escape from civilization. 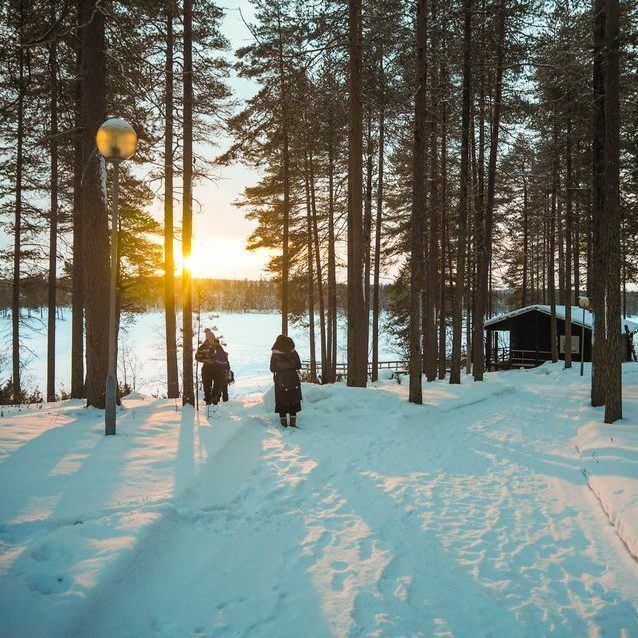 Known as one of the Europe’s best places for bear sighting, every winter Hossa turns into a fairytale land of snowy vistas, frozen lakes, and cozy cottages featuring boiling saunas – you can enjoy all this with reindeers as you companions. The park consists of 11,000 hectares of wildlife and unspoiled nature, with Hossa Hiking Area situated in its heart. Hossa is a part of undiscovered Wild Taiga, which stretches all the way from Lakeland district to Lapland. Later this year, in July 2017 the area will officially become the 40th Finish national park. I had the unique opportunity to visit the area before the masses arrive. 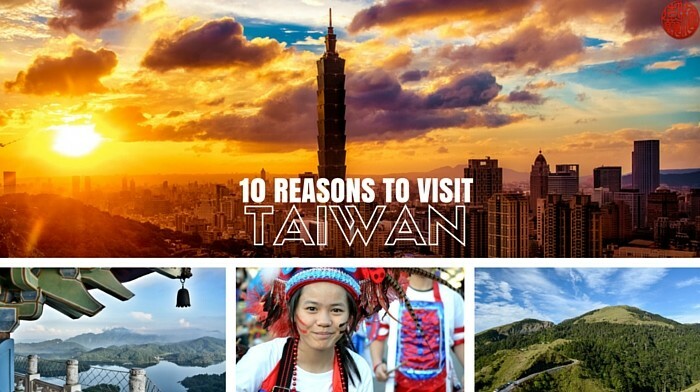 Enjoy my guide to this magical place! Hossa is a little remote. You will have to fly to Helsinki first. Use Kiwi.com, my favorite search engine, to find the cheapest flights. From Helsinki, take another one hour flight. The closest airport is in Kuusamo, 85 km from Hossa. There are daily busses from to Hossa, the trip takes about about 1 hour and 15 minutes. Another airport is located 210 km from Hossa (Kajaani airport). A good place to start your trip is the Hossa Visitor Centre in Suomussalmi. Here you can get all the maps and information you need. Entrance to the national park is free. During my trip, I spent most of my time around Kuhmo and Suomussalmi, where I also had the opportunity to do most of the following adventure activities. 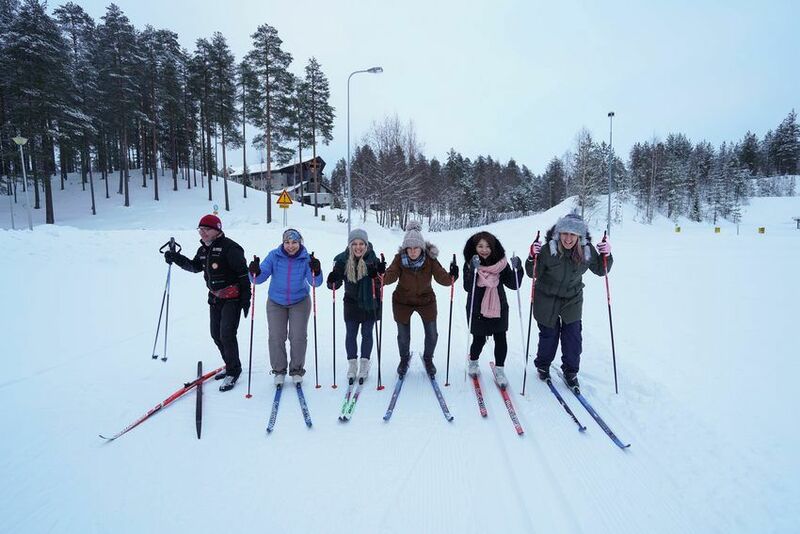 This is the unofficial national sport of Finland – they say that most Finns learn to ski right after they take their first steps. If you have any downhill skiing experience, you will quickly be able to grasp of the cross-country version. And what a great place for it; there are 60 kilometers of well-maintained ski tracks in Hossa. Actually I haven’t done this sport for quite some time, but luckily it is one of those skills that can’t be completely forgotten. Also, the tracks started literally in front of my hotel, so how could I not go for several rounds? TIP: I stayed in Hotel Kavelala, which features a great sauna and recreational facilities including an outdoor heated whirlpool. Snowshoeing is definitely my favorite thing to do in Hossa J It is really simple -If you know how to walk, you know how to snowshoe. All you have to do is strap snowshoes over your normal winter shoes and then you are good to go. Ready for another adventure activity? Then get on two wheels! Fatbiking is a great way to explore this winter wonderland. You have a lot of choices for where to go: most of Hossa’s hiking trails can also be Fatbiked. A Fatbike is basically a normal bike with extra fat tires that make it really stable, even on snow or ice. I really loved peddling around the park – we even rode out onto a frozen lake. Just to add one thing: it is good to have GPS/a good map if you plan a longer trip – you don’t want to get lost in that deep forest! A visit to Hossa (and Finland in general) would not be complete without trying out a sauna. The Fins are really obsessed with it! Honestly, I was rather skeptical about sauna activities before visiting Finland – I always felt too hot when I tried saunas elsewhere. When I visited Hossa, we spent all day outdoors in the cold. In the evening when we returned to our accommodation, hitting the sauna just came naturally. It’s really nice to warm up at the end of the day! PS: I realized that the wooden saunas were not as boiling hot (unless you make them boiling hot J). Either way, if you start to overheat, you can cool down in the snow or go for more the intense option described in the next point. OK, this one is a little extreme but definitely one of those “once in a lifetime” kind of experiences. This is what some Fins prefer to do after the sauna as long as there is a lake nearby. It even has some health benefits such as relieving stress and fatigue. The reindeer is definitely the cutest animal that you will encounter on your trip to Hossa. The Finnish forest reindeer is one of the largest species of reindeer: the female can weigh up to 100 kilograms and males up to 250 kilograms. A great place to meet and learn about the reindeers is in Hossa Reindeer Park. They let you stand inside an enclosure and feed the reindeers, so one can get really close to them. I also enjoyed a small sledge ride there. Find more information on their website: Hossa Reindeer Park. 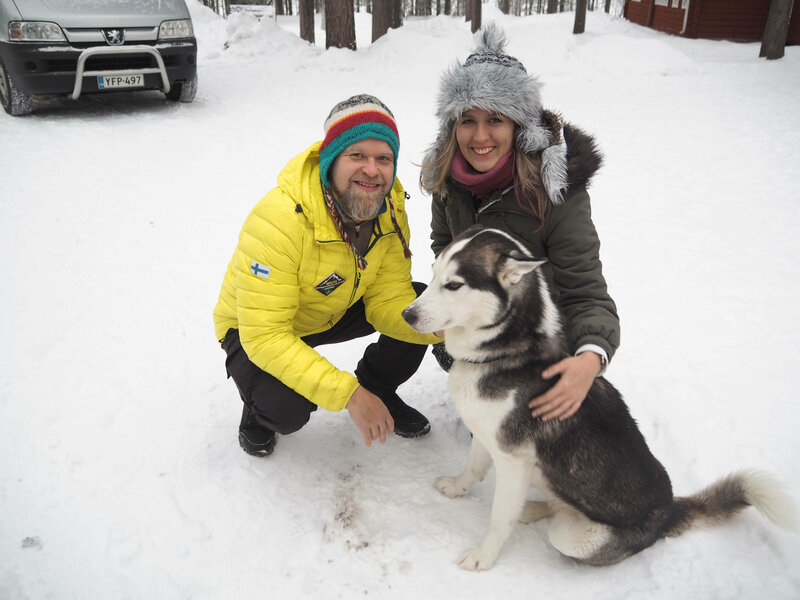 Although I did not get to do a special husky trip, there was still one husky around – the one owned by my guide Janne. Huskies are incredibly cute and they really do enjoy the winter. 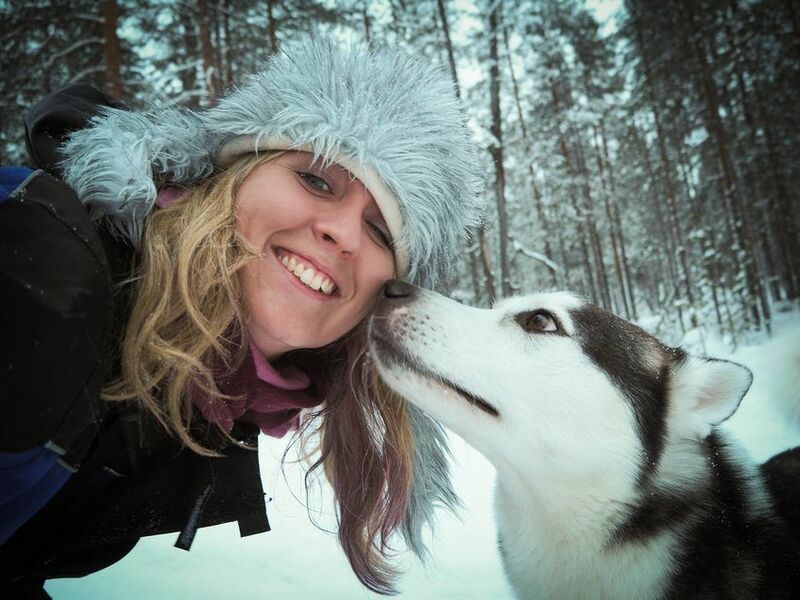 If you are, however, interested in a husky safari, then Kuhmo and Sotkamo are good places to organize one. You can do single or multiple day trips to the eastern border in Kainuu. Basically, you travel by dog sledge and spend the nights in lodges along the route. More info: My guide was Janne Autere from HikesnTrails and you can find the website about husky programmes here. My experience in Hossa would not have been the same if we had only stayed in hotels – staying in a cabin deep in the forest was really something fascinating. The house was quite humble (it was built primarily for loggers) but it had its own sauna. Most cottages can be found near lakes in remote locations. 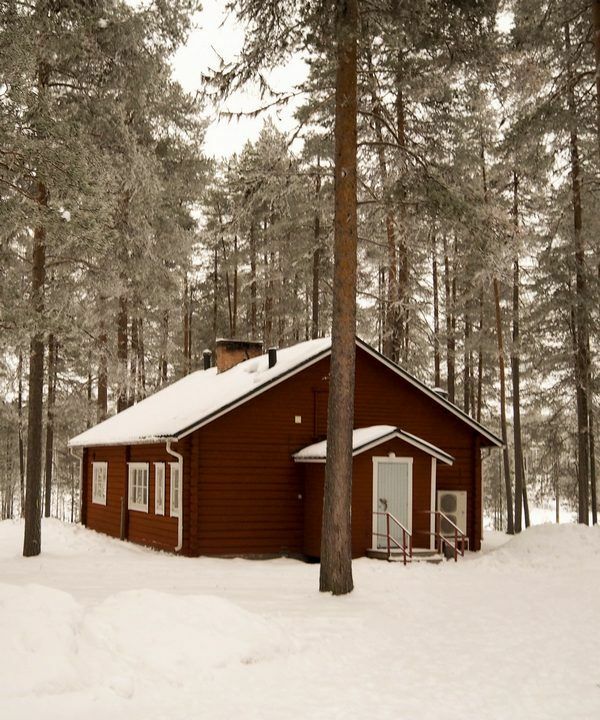 The Finns are quite obsessed with cottages (nearly every fifth household has one). Once you experience staying in one, you will understand how beautiful it is to pass the days with friends or family, far from the city and shopping malls. Make sure to include some nights in a cottage in your itinerary – I promise you won’t regret it! If you are interested in culture and history, make sure to visit Juminkeko, the Information Center for the Kalevala and Karelian Culture. 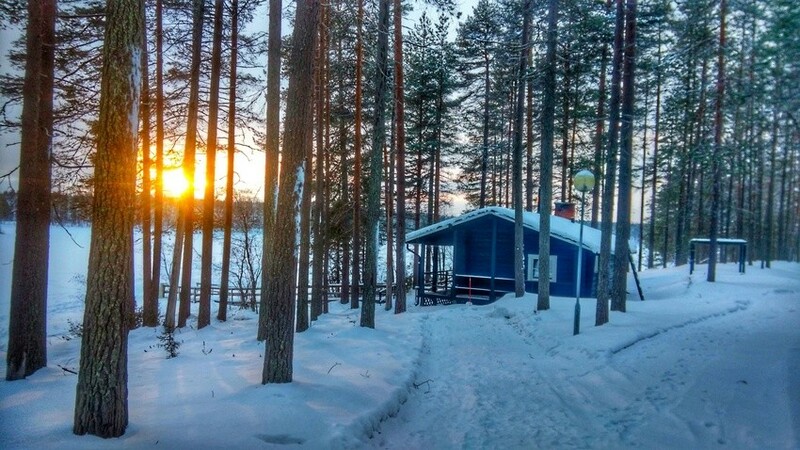 It is a unique place where you can learn about the epic Kalevala poem and Karelianism, the Finnish national romantic movement of the 19th century. The city of Kuhmo is actually the unofficial capital of an area called Vienan Karjala, the heart of Karelia, which now belongs to Russia. Most of the legendary journeys of Elias Lönnrot, the compiler of the Kalevala, to Karelia started in Kuhmo. As I mentioned before, Hossa is quite remote and very far removed from any kind of urban pollution. It is the kind of place where you can experience complete dark at night. That makes it a great place for spotting northern lights. During my trip, I had hopes of seeing the northern lights but unfortunately, it did not work out. At least, I got the chance to learn a bit about wildlife and nighttime photography from one of the excellent local photographers who chases the lights in winter and bears in summer. I hope you have more luck! PS: If you are interested in a wildlife photography tour, contact Lassi Rautiainen from Wildlife Finland. Below you can see one of this photographs. 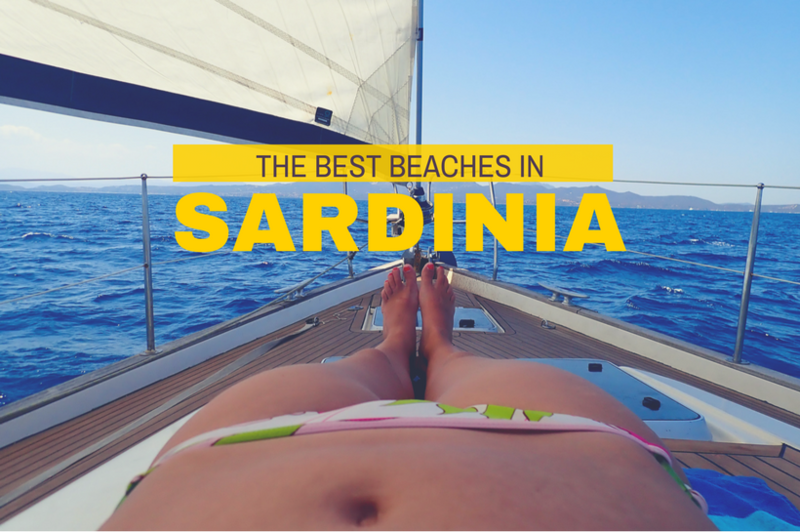 These are a couple of recommended places to stay during your trip to Hossa. Make sure you include some nights in a local cottage. Hotel Kalevala – comfortable hotel with restaurant overlooking the lake. Excellent food and recreational facilities. You will be spoiled! Sänkelä Cottage – family home with fully equipped kitchen. It is 50 meters from a beach on Lake Vuolajärv. Ollilan Lomamajat – traditional Finnish cottage with sauna. It is located in Kuusamo, 32 kilometers from Ruka. Forenom Hostel Kuusamo – budget option, rooms with kitchenette. By the lake, with Ruka Ski Resort 25 kilometers away. Have you ever been to Finland? Although I travel a lot, Finland was the first Scandinavian country I have ever visited. I spent over 10 days there and loved the serenity of its natural environment and opportunities for adventure actvities. Let me know – what is your favorite winter activity? PS: If you are planning to spend few days in Finish capital, check out these top things to do in Helsinki. If you prefer to escape to nature, check also these day trips from Helsinki for adventure seekers. Check out these interesting facts about Finland, too! And since trip to Finland can easily be expensive, you have better to follow these tips on backpacking Scandinavia on a budget. If you enjoyed this article, please share it on Facebook! My trip was in partnership with NBE Finland and Wild Taiga. Opinions are, as always, my own. 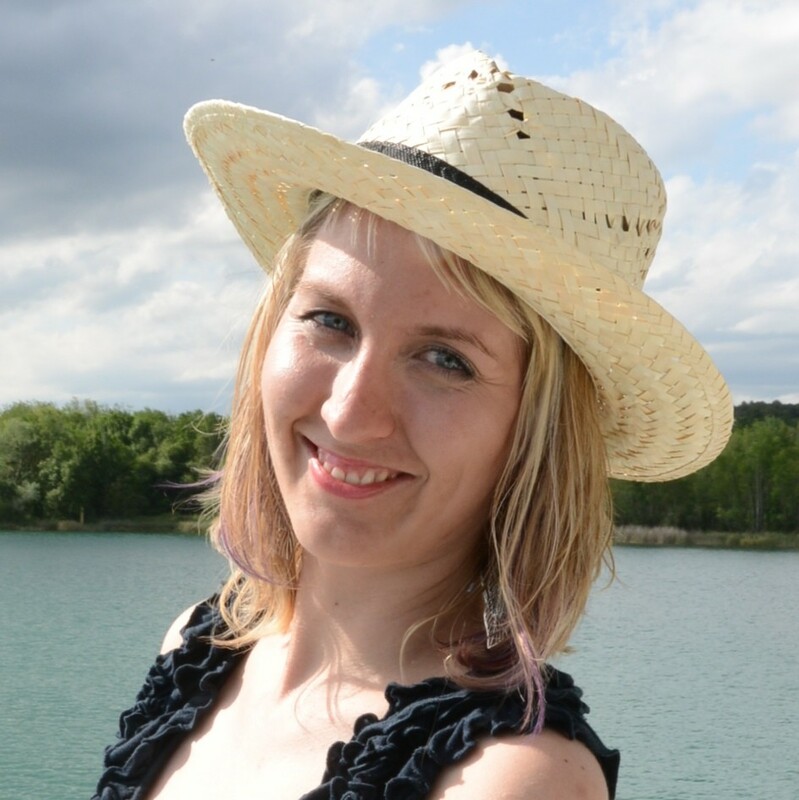 Thanks Veronika – it was great to have you here. Now we are excited about the official opening of Hossa National Park on the 17th June 2017. Perfect, thank you. I am preparing the Czech version now, so this is helpful as well. Hi Danik! Cool I had no idea you were in Finland, too! I have never been to Finland but apart from Helsinki I would love to visit the northern parts of the country. Apart from the Nothern lights and the cute huskies, I would love to try cross country skiing. Helsinki is just a start, really! The further from the civilization you go, the better! I was just in Finnish Lapland in February and absolutely loved it! I loved snowshoeing through the forests. It was such a great way to connect with the forest and the National Park and enjoy the tranquility. I’d love to go back! Yeah Lapland must be cool as well, but it is getting over-touristy in the past years. Luckily there is still enough places to enjoy nature and tranquility. This sounds amazing. I’ve visited Finland but have never been to Hossa. I would love to see those reindeer and the huskies! Both of them are super cute! Finland has been on my list for a long time. 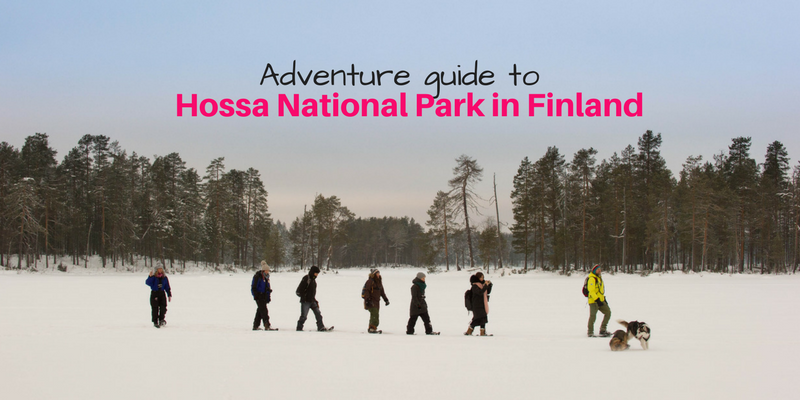 Your guide to Hossa National Park was wonderful. It looks like such a fun trip. I’m hoping to make it there this year. I’d love to be able to see the Northern Lights. Hi Debra, you should visit Finland indeed. 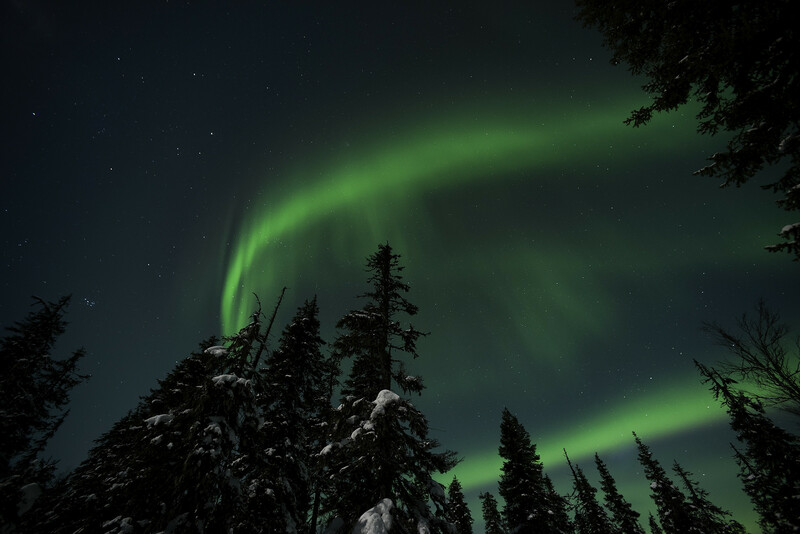 With Northern Lights it is a bit tricky – the nature and weather is unpredictable sometimes. Never been to Finland and this article makes me want to catch the next flight. I love the idea of fat biking and hanging out with a reindeer!! The idea of being in a cottage, far removed from the hustle and bustle sounds perfect. Even better is the sauna. I have to admit you were brave to go ice-swimming!! Great fun!! The same about me and Finland before – I didn’t know how awesome it is before I got there. I must say that I prefer the remote places to Helsinky though. So if you go, try Hossa or other national parks. There isn’t one of these activities I wouldn’t want to do. They all sound fab, from the sauna to the reindeers. And everything else in between. Even the cold plunge. Sign me up for winter fun. I knew you are into all adventures, Carol! So much fun to be had. I wouldn’t even know where to start. Fatbiking is a new term for me, but I would give that a whirl too. It’s fun! Similar to biking, indeed. I’ve always wanted to try snowshoeing, I hear it’s a really great workout too! I don’t think I’d try the ice swimming though. I’m cold just thinking about it! Haha! Hi:) I guess it can be great workout when you do a some kilometers – especially if you are the first one from the group, it can be a bit harder to walk! You are so brave! You ran out and walked right into that water. I think one toe and I would have turned and ran. Looks like you had a fabulous time, with incredible sights. I didn’t know you could bike in the snow. How cool. Hossa is an amazing place! The idea of spending a week in a cabin in rural Finland is dreamy. And the activities look so fun! Unfortunate that you missed seeing the Northern Lights, I also missed out on this in Iceland. Ahh, I also did not see the Northern Lights! But at least we still have something to look forward to! This is such an awesome national park! Finland never ceases the amaze me!